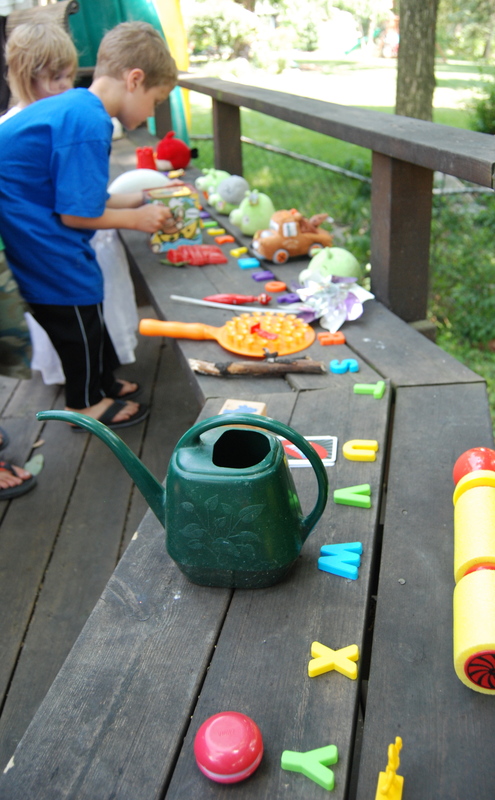 We did this activity last school holidays and my boys had SO much fun. The bonus is it’s super dooper easy for you to set up and can be played indoors or outdoors. Simply lay out letters of the alphabet on the ground or floor and set the kids a challenge to find an item starting with each letter. One handy tip is to have a set of letters for every two children playing so the collection area doesn’t get too crowded or confusing. The letters can be magnetic as in the picture or a piece of paper with the letter written on it. 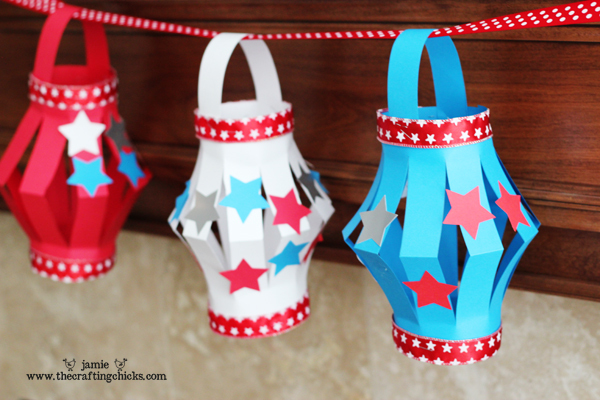 As a kid, making paper lanterns was one of my favourite craft activities. I used to have strings of them hanging around the house. School holidays have arrived here so, chances are, you are also in the middle of them or they are just around the corner. Over the next two weeks I’ll be posting some fab activities to keep the little darlings occupied and their big imaginations stimulated. 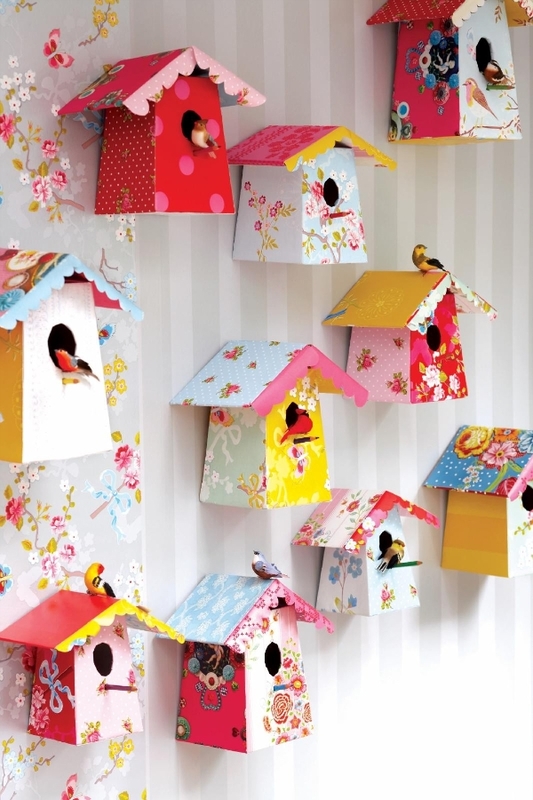 Let’s start with paper birdhouses. 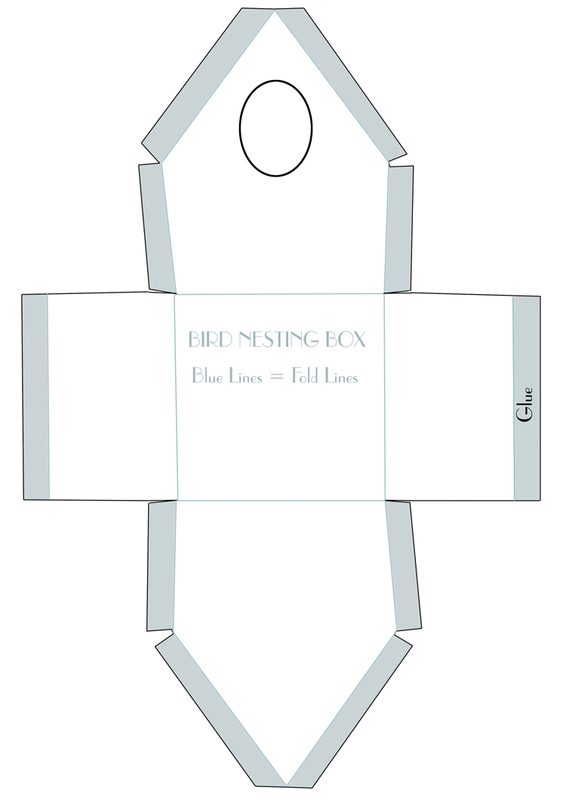 Girls and boys all love a birdhouse so this activity should keep everyone in YOUR house happy. To create these little beauties you’ll need to transfer this template onto heavy paper or cardboard then simply follow the guidelines to folding and glue. If that’s all too hard for you, we have these fantastic ‘Design Your Own Wooden Bird House‘ kits in store. From one of our favourite brands Seedling, New Zealand, the kits come blank with a set of paints and paintbrush ready for your little ones to create their own magic. Whether your bird house ends up on a bedroom wall or hanging from a tree in the backyard, this activity is sure to be a winner. We are preparing for a rainy Sunday here. Rainy days often involve cubby houses at our place. I have been searching for some inspiration so I am well armed tomorrow when the heavens open and my boys start climbing the walls. 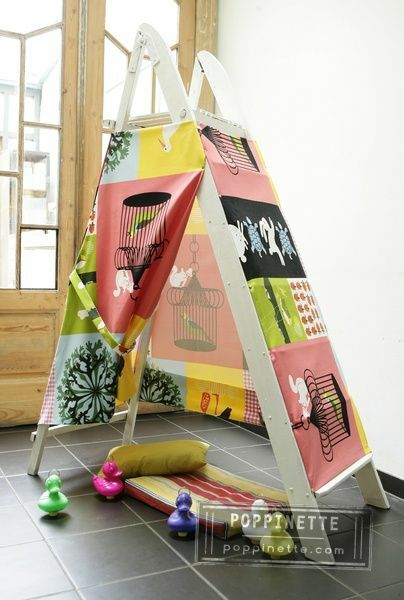 If you are short on space, this ladder tent is a fab solution! These happy little campers have used some fab IKEA fabric however an old sheet would do just fine. How about a winter makeover for your sun shelter? 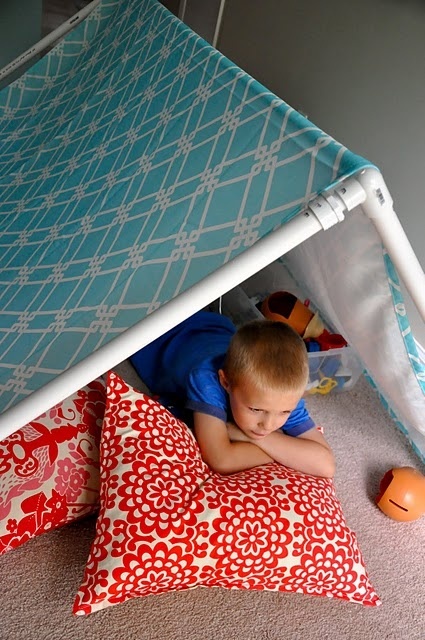 They make a fab indoor cubby and pop up in just a second. Yay. If you’d rather someone else did all the making, visit our friends at Banana J Creations. 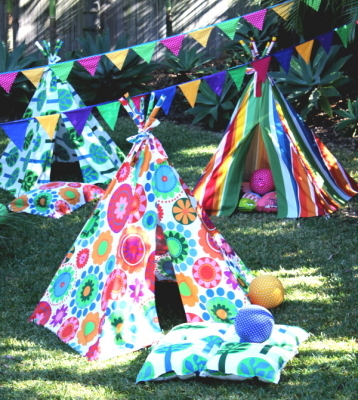 They have adorable tee pees available in all kinds of designs, colours and fabrics. And if all else fails, throw your biggest blankie over the lounge or dining room table, jump inside with the kids, snuggle up and enjoy! 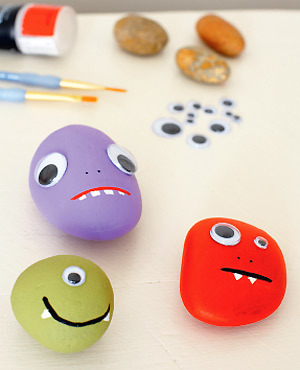 Turn pebbles into fun monsters – friendly or scary. Let your imagination run riot. Paint them all over first, one side at a time, leaving them to dry thoroughly. Then paint on details using a fine paintbrush or artline pen. Use acrylic paints or tester pots of household paints. Glue on goggle eyes to complete the faces. 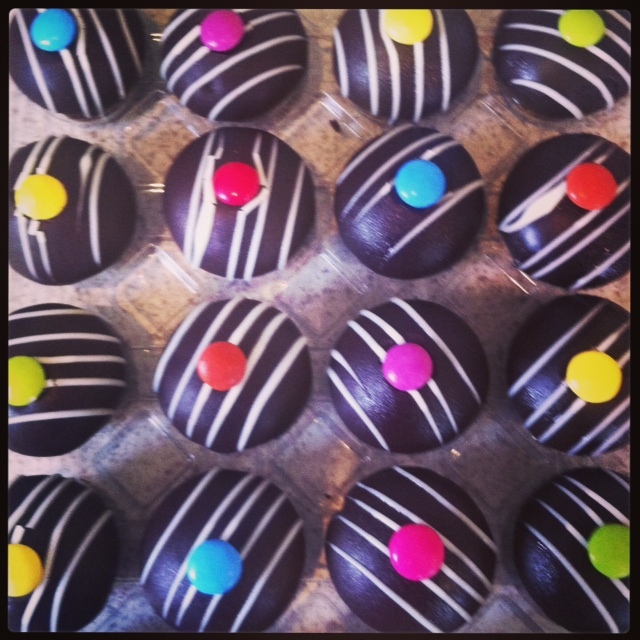 Courtesy of cocoa bean uk. Every year at this time, my business is quiet and a very dear friend’s Event Management company is super dooper busy. 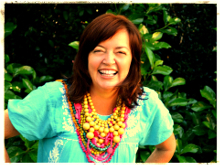 Event Management and Incentive Travel is part of my background in my Old World, my “before babies” world. So I don my heels and corporate frocks and shimmy into their office and happily soak up the dynamic buzz their team creates. I love to dip my toes into that Old World and this week I belly flopped right on into the deep end, with a 5 day interstate conference. Yep, as in another state. On a plane. Away from my babies. 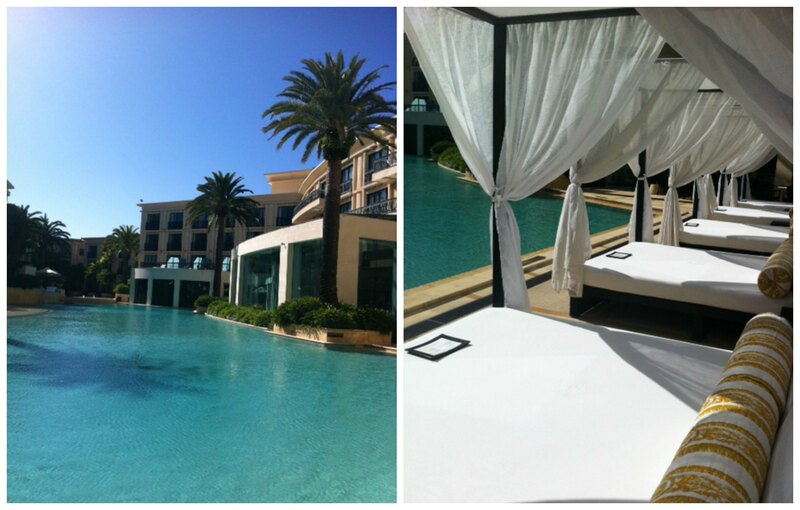 But before you get too concerned for my welfare, I need to point out I was staying at Palazzo Versace Hotel. 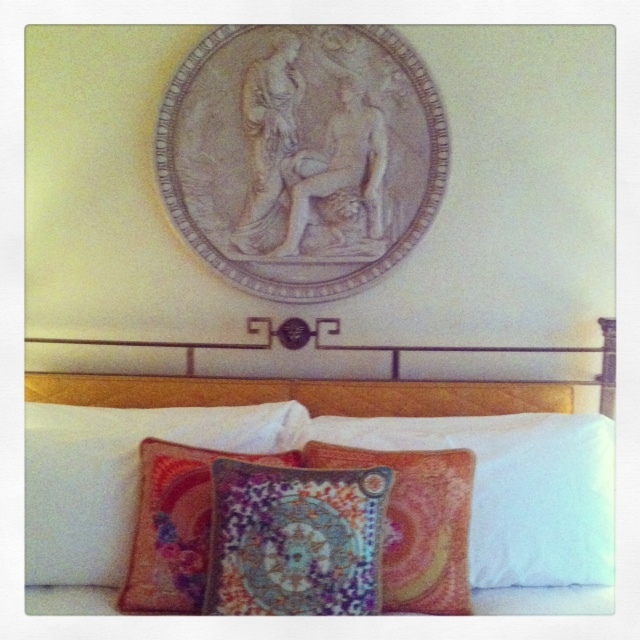 You see, the Old World is all about fancy hotels and terribly special events where, whilst I help look after clients checking every little thing is in order to ensure they enjoy an amazing and memorable experience, someone else makes MY bed each day, cooks my meals and even washes the dishes. Um, yay! If I play my cards right someone will even take care of the teeny tiny little pile of laundry I accumulate in this world where I temporarily live alone. I love this world and I do often miss it. I choose not to go back there permanently as I have a new life now. A life in my New World. The New World is all about our suburban home which is bursting at the seams with chaos and love, and more sibling arguments than I care to acknowledge. It’s also decidedly unpolished. No-one makes my bed in the New World. I have to make it myself. As a bonus, I also get to make three others. I make my own dinner, rarely 3 courses but often with wine, and sometimes I feel I’m running an open all hours a-la-carte restaurant. Oh, and I set up the breakfast buffet every morning. 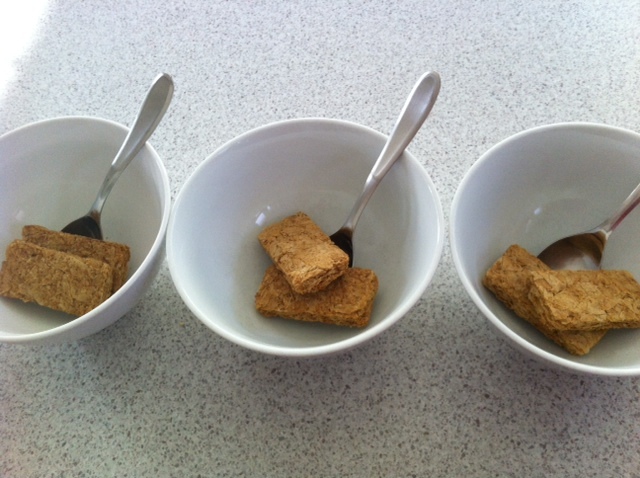 Guests can have Weetbix, Weetbix or Weetbix. Don’t get me started about the lunches. Instead of the long, hot, uninterrupted baths I enjoyed in the Old World, I run bubble baths for others, and wrangle slippery little bodies that never want that bath to end. No-one turns down our bed here in the New World, and our sheets no longer boast high thread counts. 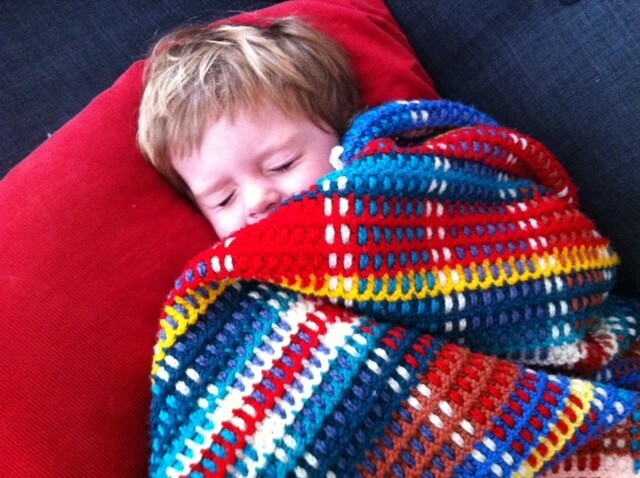 Instead, I tuck tired little bodies into beds, snuggling them under crochet rugs made by their grand grandmother. The teeny, tiny laundry pile I create on my own is dwarfed within minutes by a mountain of muddy rugby socks, school uniforms and towels that never seem to find their own way off the floor. As I flew home from the Old World to the New World yesterday I couldn’t help but reflect on how much I love them both. I think I am terribly lucky to literally enjoy the best of both worlds. But for now, our Middle Size is turning 6 and because his Mum was busy in the Old World she hasn’t had time to bake so I am off to add smarties to the tops of 25 store bought cupcakes for him to take into his class. 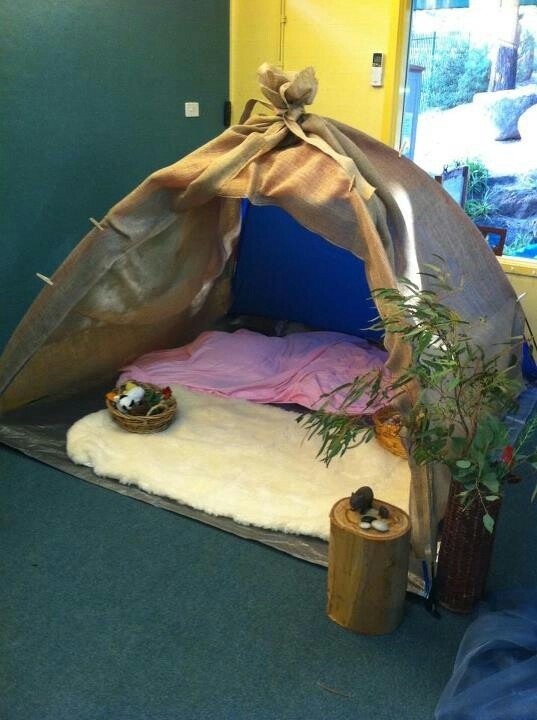 I am also going to do reading groups with him and his Kindy buddies. Do you think anyone would mind me wearing my Versace slippers? Do your old and new world ever collide?